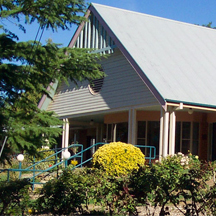 For a small town, Carcoar has a diverse range of services available, including most importantly our own medical service, the Carcoar Medical Centre. 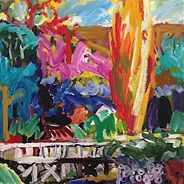 We also have a quality aged care facility run by the community called Uralba, which has 22 beds covering a range of aged care needs, including important respite facilities. 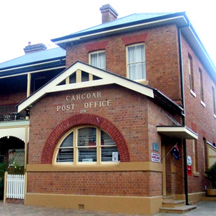 The Carcoar Post Office offers all the Australia Post products and services available. See the Connect page for community service listings. Quality, affordable, accessible, available and accredited permanent and respite care for the Aged and Disabled in our community. 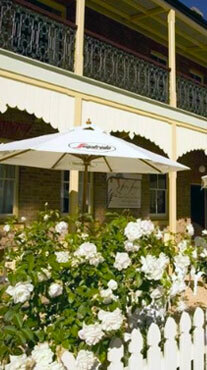 Stocking a large range of Darrell Lea and Australia Post products. 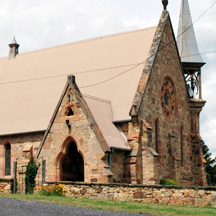 In Coombing St, on the corner is the Church of the Immaculate Conception built in 1870. It has a slim stone bellcote and spire and retains its original cooling system which consists of wall cavities through which air passes into outlets in the window sills. Next door is the former convent (1874), now Shalom House of Prayer, built by the same architect. 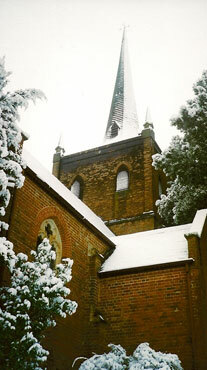 Up the hill in Collins Street is St Paul’s Anglican Church, a small Gothic Revival structure, also designed by Edmund Blacket. 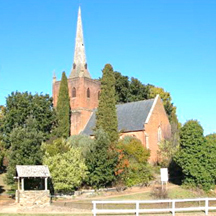 It was built of brick and sandstone with a slate roof between 1845 and 1848, making it the second-oldest church west of the Blue Mountains. The unusual crossing tower and steeple date from 1874. The interior is essentially in original condition, including the brick sanctuary floor, the sandstone font and the family pew of original European settlers, the Icelys. Saturday before the 3rd Sunday of the month at 5pm, followed by drinks, nibbles and socialising. 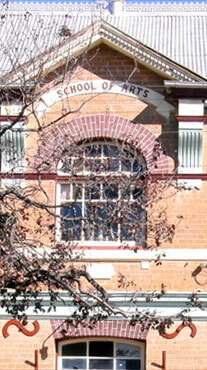 The School of Arts Community Hall Carcoar Inc.
What a great hall for Weddings, Parties, anything. 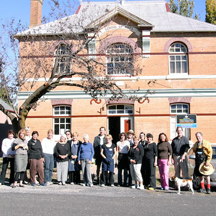 Film screening capability, venue for Artist’s weekends (pictured). Notable Mural depicting the old town. Carmanhurst Room has a great collection of War memorabilia. Uralba has respite beds available, and has recently added a new wing to increase its capacity to serve the community. All enquiries welcome to the Manager Di Southcombe. It’s hard to believe that we will be staging our NINTH running of the Carcoar Cup in 2019. Our event has gone from a madman’s idea to an event which attracts runners from all over Australia and even overseas. 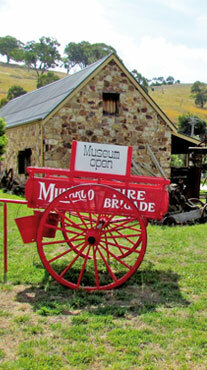 The “Best Little Show in the Country” is being held on Saturday 27 October next in the historical village of Carcoar in the central west of NSW. Unbelievably, this was the 141st Carcoar Show, a testament to the enduring quality of the event! 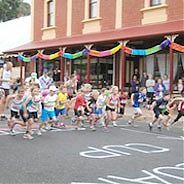 Thousands visit Carcoar each year to take part or be a spectator at the Australia Day celebrations in Carcoar. 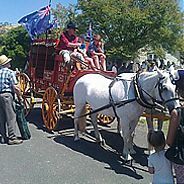 Re-enactments, rides, food, Carcoar Village Festival Parade, stalls – it is the place to be on Australia Day!